Involving customers in the development and production of new services becomes a powerful force across many creative industries. Customers can directly supply the firm with innovative ideas, provide skilled labour, and act as a powerful force in marketing. Firms across the world, as they seek to innovate and to better respond to market needs, begin to recognize the benefits stemming from customers’ involvement in their operations. Co-creation also becomes more prevalent as customers begin to expect it from firms – seeking to influence their favourite services or products, and to have them better tailored to their needs. 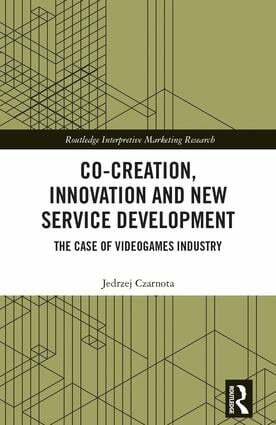 By studying a wide array of videogames firms in the USA and Europe, this book provides a unique insight into co-creation. It builds on the existing theories to provide unified framework for understanding co-creation in creative industries and other sectors. It combines insights from the dynamics of customer communities, with firm’s perspective on innovation management and organizational transformation. Jedrzej Czarnota is a Research Analyst at Trilateral Research Ltd., UK.